We’ve spoken before about broadstrike error coins. There can be varying degrees of a broadstruck coin and as the size of the error increases and there begins to be missing elements of the coin then it becomes an off center strike. 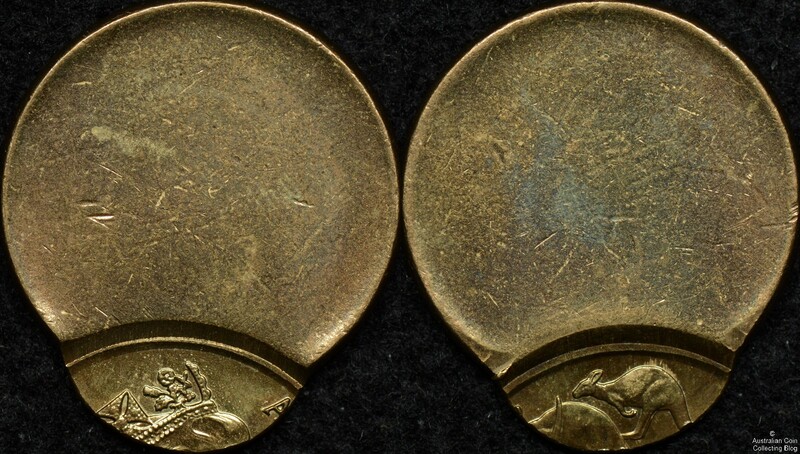 These off centre strikes are probably the most common and well known of errors as they are often very obvious and can be very spectacular errors. The off center coin error is a massive variation on the out of collar error. In this case the blank is not fed into the press properly and lands in the collar incorrectly. For the off center strike only part of the blank is struck by the upper and lower dies. This results in only part of the design being struck on the coin and a coin that is not it’s usual round shape. Because of their unusual shape they are commonly picked up before they leave the mint or in rolling machines by security companies. They are most often explained as their % amount off centre. This kind of coin error is worth a lot, many selling for hundreds if not thousands of dollars in high grade.